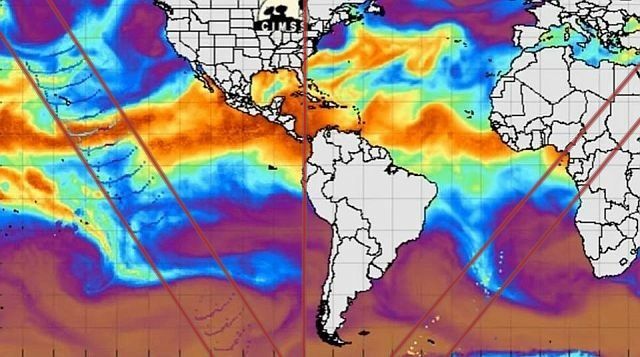 Yet again, mimic map catches massive anomalies coming from Antarctica. This time we have two different events caught in the recent frames. The biggest being another massive wave formation that is once again being shot out above the Pacific ocean. As the MIMIC map showed this time two anomalies, I have tried to determine the source on Antarctica and it seems that the location must be in or close the Ross Sea. The rough estimate and interpretation of the location of the source could be of course totally wrong, but if you see the images below then the anomalies point to a location in or next to the Ross Sea. 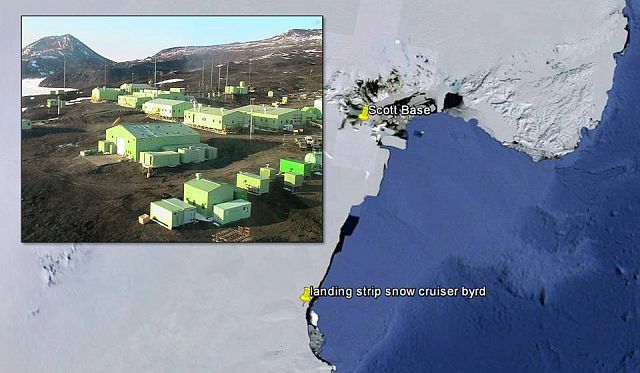 Now, the Scott Base a New Zealand Antarctic international research facility which is located at Pram Point on Ross Island which is close to the Ross Sea and while it doesn’t prove anything it is interesting to note that this base is in line with the supposed location from where the wave anomalies have been transmitted. The Ross Sea and the mysterious surroundings seem to be an important part of the Antarctic given the fact that besides the activities of the International Scott Base, a few months ago, the Commission for the Conservation of Antarctic Marine Living Resources decided that the 1.9 million square-mile Ross Sea will be the new marine protected area. Despite the Ross Sea is now a protected area, China has selected a location for its first-ever airfield in Antarctica, which is to facilitate Beijing’s research efforts on the frozen continent, moreover, China is considering establishing a new Ross Sea base. That China wants to establish a new base just in this new protected area, actually in the same area where the International Scott base is located, is interesting and it could only means, whether or not related to the strange wave anomalies, that there is something going on below the surface of the Ross Sea or in the surrounding area that has the highest attention of many governments throughout the world.